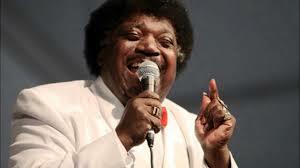 Percy Sledge, the American R&B singer who shot to fame in the 1960s with the hit song When a Man loves a Woman, died this week. He seems an unlikely person to be associated with Australian English, especially with a term used in the quintessentially colonial game of cricket. But there is a purported connection, even though it is doubtful. Sledging began as a cricketing term. It is the attempt to break the concentration of another player (especially the person batting) by abusive language or needling. Today sledging is also used in other sporting and non-sporting contexts, and in its broader use it means ‘criticism, ridicule, abuse’. Eventually, the party broke up and there were only four of us left in I’llbe’s room. A NSW player came back to the room with a sheila. He asked, ‘What happened to the party?’ I’llbe said, ‘The party’s all f***** up’. 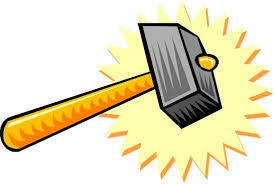 The NSW player was embarrassed and said, ‘I’llbe, you’re as subtle as a sledgehammer’. From that incident, anyone who swore in front of a woman became known as a ‘sledge’. About this time, the Percy Sledge number When a Man Loves a Woman became popular. A man who swore in front of a woman became a ‘Percy’ or a ‘Sledge’. The next generation of players, or the media, thought it referred to language which happened on the field. Other commentators, such as folklorist Graham Seal, have suggested a Percy Sledge connection, and there are other similar stories about the origin, at least one involving a rendition on the pitch of When a Man Loves a Woman. These stories are appealing, but should be treated with caution. Chappell’s original party incident happened in the summer of 1964–65 (or earlier, in some accounts), and he recalls the Percy Sledge song was popular ‘about this time’. However the song did not come out until March 1966. 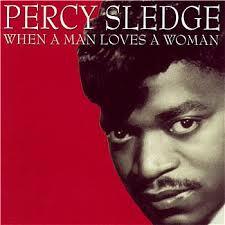 As well, there is no evidence of the words Percy or Sledge referring to a man who swears in front of a woman. The first evidence in the written record for sledging does not occur until a decade later in 1975. The first part of Ian Chappell’s recollection (‘you’re as subtle as a sledgehammer’) does reflect the logical origin of sledging: the word sledgehammer. Using abuse and insults to break the concentration of the opposing batsman is a heavy-handed tactic, the equivalent of a verbal sledgehammer. If Percy Sledge became associated with sledging, it was not until after the event. The entries for sledging and the verb to sledge, along with the derived nouns sledge ‘an act of sledging‘, and sledger ‘a person who sledges‘, are being revised for the forthcoming second edition of the Australian National Dictionary. 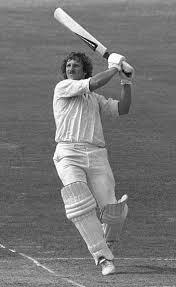 This entry was posted in etymology, sport and tagged Graeme Corling, Graham Seal, Ian Chappell, Percy Sledge, Roy Masters, Sheffield Shield, sledge, sledging, Steve Bernard by Julia Robinson. Bookmark the permalink.